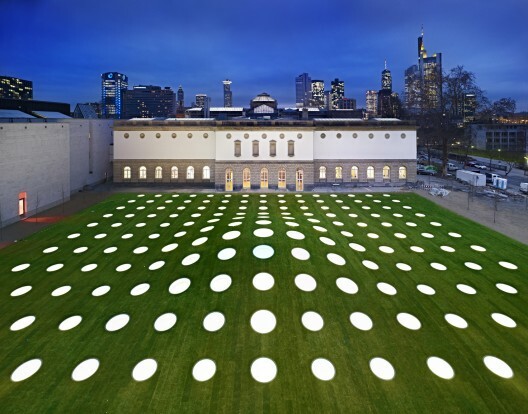 In Spring 2008, schneider+schumacher won the international competition to extend the Städel Museum in Frankfurt/Main. By placing the new building below the museum's garden, they almost doubled the exhibition area from 4,000 m2 to 7,000 m2. The underground building is 76 m wide, 53 m long and a maximum of 8.20 m high at the centre. 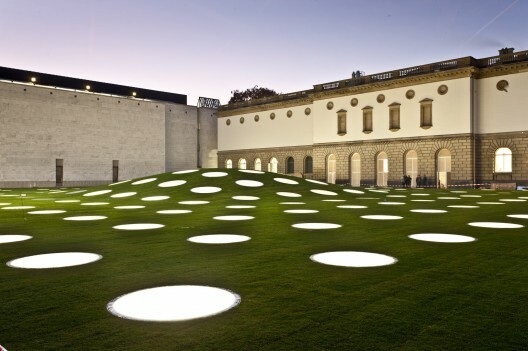 The outer surface of the doubly-curved roof slab is covered by a total of 195 roof lights, varying in diameter from 1.50 m at the outer edge to 2.50 m at the highest point in the centre. 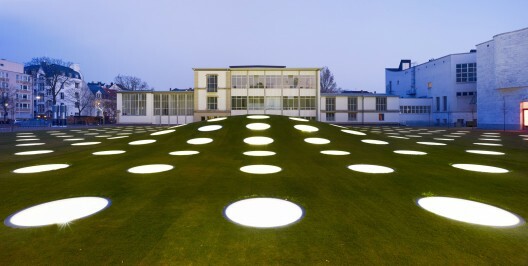 These "eyes for art" were specially developed for the Städel extension and are designed to be walked on. 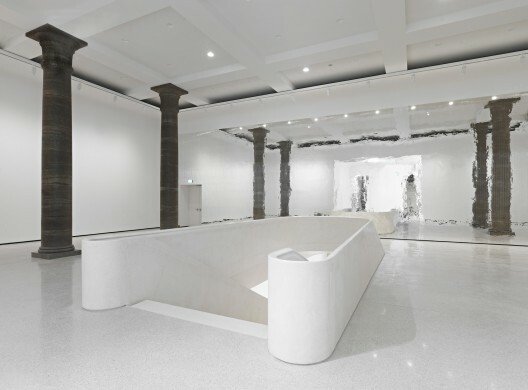 Daylight entering the exhibition space Städel below can be controlled; either augmented using the integrated LED lighting system or mitigated by shading elements built into the roof light. The entire slab is supported on just 12 slim reinforced concrete columns. The extension lies below the water table and is anchored by 160 deep piles to prevent it floating. The new building also incorporates 36 geothermic piles, reaching up to 82 m into the earth. These provide heat (in winter) or cooling (in summer). 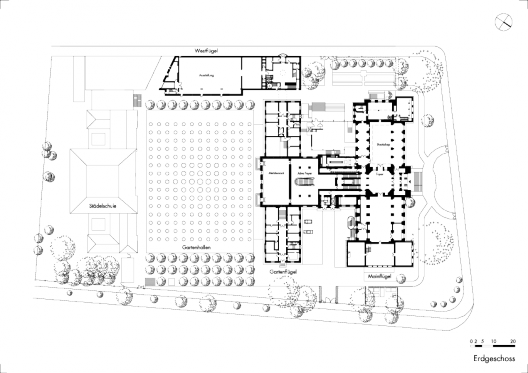 The overall concept and technical specification ensure this museum building is sustainable in all respects.